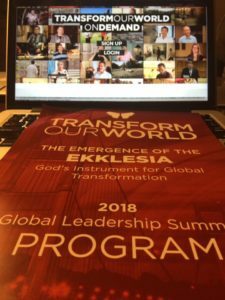 At the recent Transform Our World Summit in San Jose, there was a phrase used by Dr. Ed Silvoso that caught my attention: an ekklesia vortex. Do you know what a vortex is? Most people think of a tornado, but that’s just one example. A vortex is a force where something fluid moves around an axis or central point. It can change shape, move around, and transfer power and energy over great distances. Well, God is forming one such vortex. The axis point is his Holy Spirit, and He has his worldwide church, or rather, Ekklesia, on the move! I joined twelve other Canadians at the Summit in January, where we met with others from around the world to celebrate and prepare for the current and coming Holy Spirit driven ekklesia vortex of transformation. Those who travelled with me are operating in the spheres of business, church, politics, and education here in Canada. How wonderful it was to share our stories, and to hear how in other countries the Kingdom is being advanced in amazing ways! Some of the testimonies shared by our Canadian team included those from Brian Beattie, who spoke on city and church transformation; Bryan Elliot, who shared how his business is transforming the energy sector, a business of which God is a 51% shareholder; Dave Carroll, who’s bringing transformation into internet broadcasting; Faytene Grasseschi, who has launched a kingdom-based TV show to impact politics and media; Jim Foster, who is directing our Leadership Edge program to train up transformational leaders for the marketplace. And these are only a few of the incredible stories of what’s happening in the midst of the Canadian vortex! Even before the Summit, Ed Silvoso sensed that power, impartation and Holy Spirit fire would be released as all these global ekklesia initiatives gathered together. Each country has its own national vortex. But bring them together, and kingdom acceleration is explosive! At the event, Ed Silvoso was amazing. Driven by Holy Spirit inspiration, he helped everyone to envision the emerging vortexes around the world. We were instructed and encouraged to grow in our spheres of influence, and flow into an “accelerating, expanding, kingdom-based, Holy Spirit-driven ekklesia vortex”! And God is positioning Canada as a nation of kingdom influence on the global stage. Brian Beattie and I have been asked to join an international team to empower and facilitate emerging ekklesia vortexes around the world. Ken Gott from England will lead the team. I also want to note the central role of intercession in this amazing ekklesia vortex movement, highlighted by lead intercessors from Hong Kong, Hawaii and Canada- including my wife Annita! Annita and I were humbled to receive a “Founders Award” for our years of supporting transformation in and through our business, and in Transformation Canada. It was an amazing, life changing experience and honor for all the Team Canada members. We came away seeing and hearing real life stories of God changing people, cities, and nations with his power! I want to leave you with an invitation to special event coming soon that will let you see and experience the emerging Canadian ekklesia vortex. 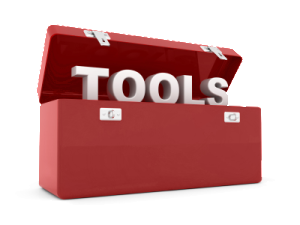 Ed Silvoso will be in Toronto, Ontario on April 6-8 where TC will be holding a Canadian Transformation Leadership Summit. Details of the event will be coming to you shortly, but be sure to save the date! It will be a life-changing experience. You’re invited to help expand the Ekklesia Vortex! Thanks for the info. I plan to attend the Canada Transformation Summit. Thanks for letting us know, Rev. Collins! We’ll see you there!